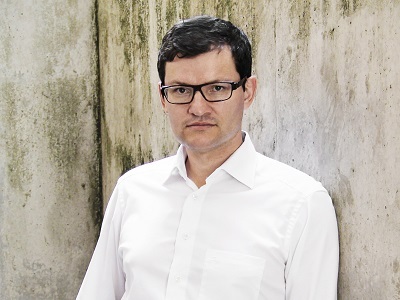 Building design innovation expert Professor Mathew Aitchison has been appointed by Monash University to lead a new research lab that aims to influence and transform the design, production and management of the built environment. Jointly hosted by Monash University’s Faculty of Art Design & Architecture and Faculty of Engineering, ‘The Future Building Initiative’ led by Aitchison will develop and deliver innovations for the construction industry that continues to rely on pre-industrial knowledge and processes. The research lab will collaborate with leading industry and academic partners on applied research projects, playing a critical translational role between research and industry, and helping usher in radical change in traditional systems. “At Monash we’re in a position to formulate and supply the industry with intelligent and technology-enabled solutions that have the potential to transform the construction industry,” says Aitchison. Having worked for multinational giant Lendlease, one of the high-profile industry partners of the initiative, Aitchison believes their strong working relationships give them a world-leading advantage to achieve the desired end-to-end innovations and transformation required by the construction industry. Aitchison joins Monash University from Sydney University where he was director of the Innovation in Applied Design Lab.